Nothing is more natural than breastfeeding, but that doesn’t mean it is always easy. That is why we provide all of our expectant parents with information before issues arise. Our breastfeeding class is a two and a half hour class offered to help encourage and instruct expectant parents so that they will have a successful and enjoyable start into nursing. 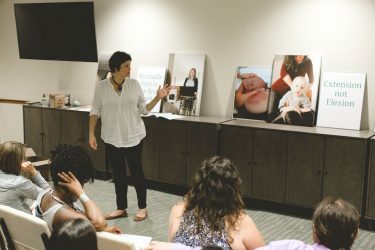 The class includes a copy of Ina May Gaskin’s Breastfeeding Book. We also offer lactation counseling after the birth of for any specific nursing concerns that a new mother may be experiencing.